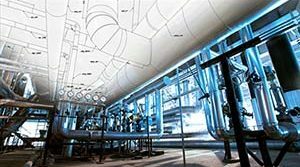 March 2002 News | Piping Technology & Products, Inc. 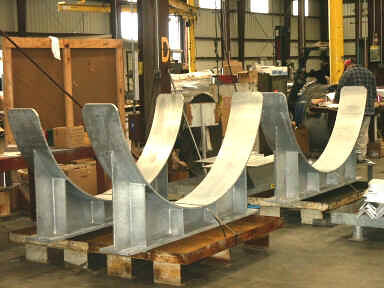 Piping Technology & Products, Inc. recently designed and fabricated 9 pipe supports with loads up to 75,000 lbs. for a 750MW power plant in Alabama. After extensive engineering hours and structure analysis, PT&P’s engineering department produced a detailed design and 3-D model for the supports that would allow them to run electronic interface checks. The supports are to support the cooling towers’ circulatory water system at the power plant. Six of the 9 supports were designed for a 60” line and 50,000 lb. load, and the remaining 3 were designed for a 78” line and 75,000 lbs. of load. Furnace Springs Versus Standard Springs The major differences between standard springs and furnace springs are their construction and intended use. Furnace springs operate in much the same way as other variable spring supports. 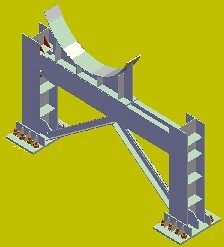 They are designed to support the pipe and tubes that are subject to vertical thermal movement. 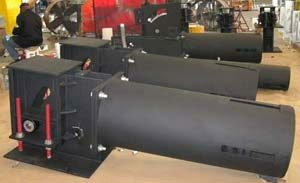 The design changes come about because, furnace springs are exposed to extreme temperatures. COATINGS Red oxide primer in order to aviod potential hazards when exposed to high temperatures Hot dipped galvanized which tends to melt the zinc coating. Molten zinc can damage surrounding pipe and equipment.